New Poster for the Running Jumps! Who doesn't love orange amps. 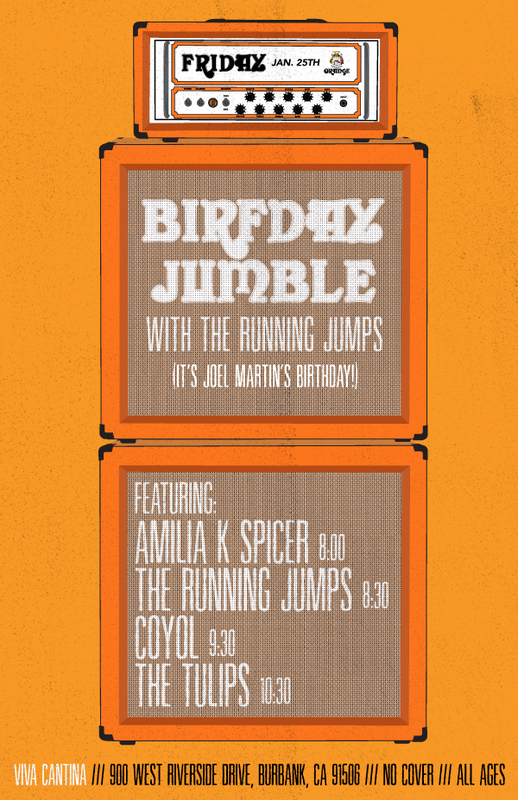 This is a special flyer for a special Client/ Friend Joel Martin who's the talented frontman for the band "THE RUNNING JUMPS"